Hey! Whiny, petulant, willfully ignorant, morally repulsive, pointless man-boy! Yeah you! Pay attention! 1. 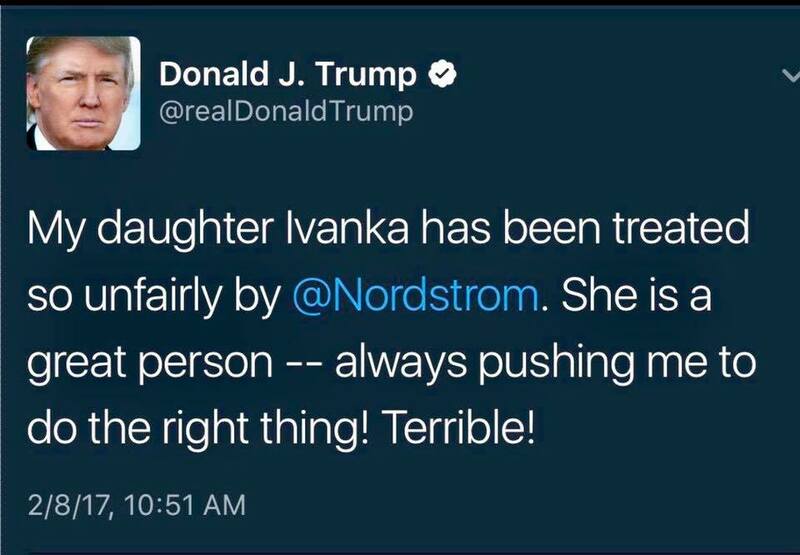 People stopped buying Ivanka Trump shoes and Nordstrom started phasing them out long before you were elected president. 2. 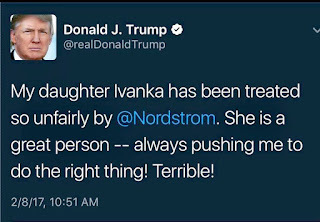 Ivanka Trump shoes are poorly made and they fall apart and lots of people returned them, which you as a so-called "businessman" should recognize as a textbook example of the third-grade business term "loss." 3. They're made in China, just like your suits and ties and Make America A Global Embarrassment red hats. 4. You campaigned hard on a platform of bullheaded nationalism and isolationist American job growth. 6. Your daughter's shoes are made in China. 7. They're made in China. 8. They're made in China. 9. They're made in China. 10. They're made in China.